St. Paul’s golf team has long been a strong team in the district and also in the state. This year’s team was looking for a repeat of last year’s state championship. The team swept the district and made an underdog run in the state tournament, but fell one place short of their goal. Coach Barwick has believed in his team since the very first practice of the year. “I believed this year would be a great year for the team and they would compete to their best ability with all teams in district, regional, and state. And they did, which made me a proud coach,” said Barwick. This year’s varsity team consisted of Thomas Ruli, Beau Briggs, Peter Yager, and Jack Stanton, Trey Hughes, and David Doherty. 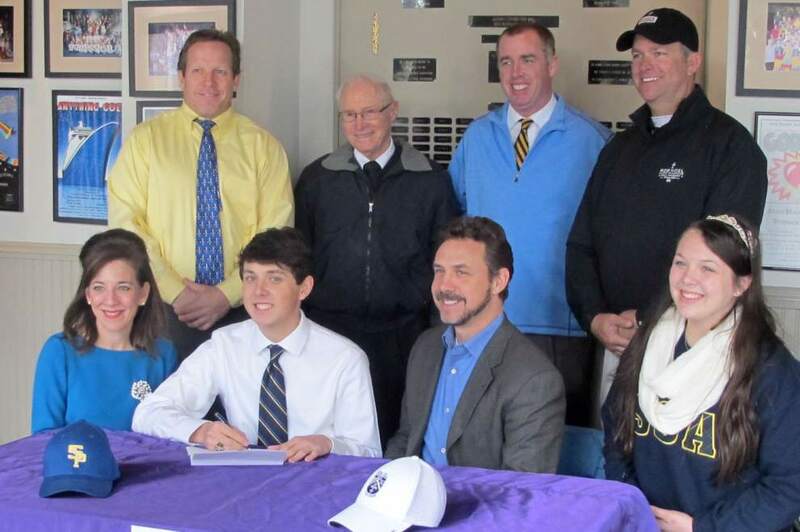 Coach Barwick’s “marquee” player was Ruli, who was the senior captain and has signed to play golf at Spring Hill next year. “[Thomas Ruli] is a great leader who has been playing very well shooting in the low 70s, and he is consistent at scoring like that,” stated Barwick. Barwick had complete faith in his team that they could go out and compete well with every team in the district. “I liked our chances for district. Regional was tougher. And for the State tournament, our guys performed very well, so I am very proud of them and their accomplishments,” said Barwick. Practice all year has been intense, and the team’s focus was on one goal at a time. The first goal of three was the district race. In district, they came out strong and captured another district title. ‘We were looking forward to the district tournament all year. This is what you play golf for, to go out and compete not only to set personal records for yourself, but also to help the team come home with the win,” explained junior David Doherty, team member, following the district tournament. Doherty mentioned how important it was for him as an underclassman to do his best out on the course, because he would want the underclassmen to play their hearts out if he was a senior this year. Seniors are not always the true leaders on a team, but for the golf team, they do have a true leader and captain in Thomas Ruli. The team swept the district with amazing scores led by Ruli and Briggs. After district, the teamed moved on to regional and then state competitions. In state, the team went in as an underdog, but used that motivation to push ahead and shoot exceptionally well both days in Shreveport, where the state tournament was held this year. The first day of state was crucial for the team. The whole team totaled a 306, led by Ruli who shot in the mid 70s both days. After the first day, St. Paul’s had the lead. As the tournament went on in the second day of golf, the team shot a 316 and fell just short to C.E. Byrd High School of Shreveport who had the home-field advantage. Ruli came in second for All-Tournament MVP to a player from Byrd by one shot. 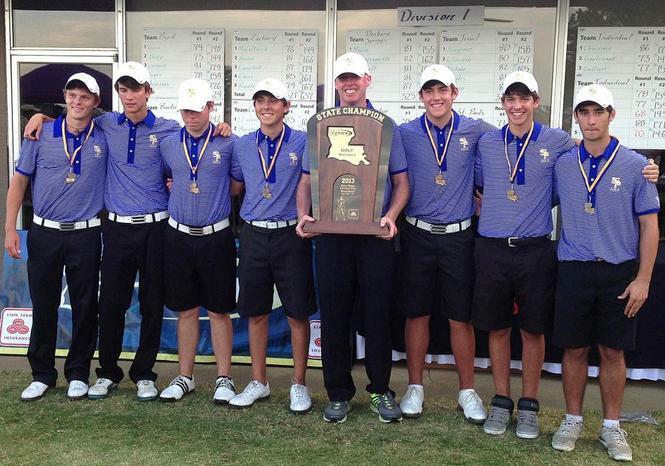 The team came out of state with a State Runner-Up trophy and the continued respect of golfers all around Louisiana.